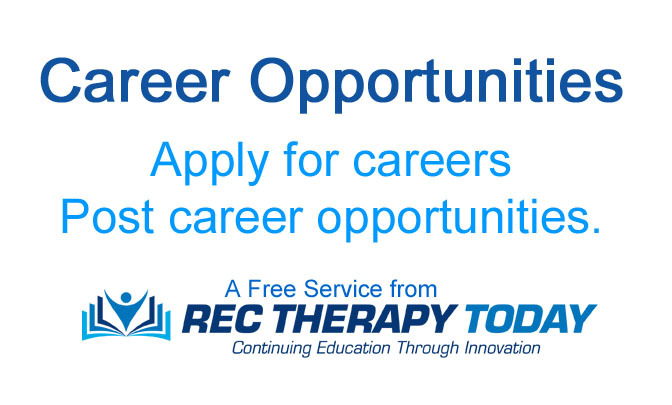 Are you searching for a Rec Therapy Job? Check out our job listings and career opportunities available for Recreational Therapists! We are always looking to connect the best candidates with their dream job! If you have an opening, submit it to our website and reach thousands of Rec Therapists through our newsletter. Careers are posted in 24 to 48 hours. Sometimes sooner.